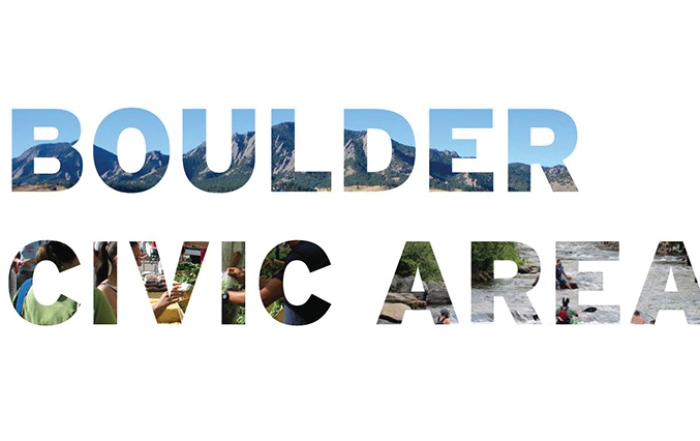 Boulder is often considered to be defined by its relationship to the natural environment – its mountain backdrop, easy access to the open space that surrounds it, its connection to greenways, creeks and bike paths – all do much to support the health and vitality for those fortunate enough to live here. This goes a long way to contributing to the active lifestyle and generally more athletic character of the resident population. However there is another aspect to civic vitality beyond the recreational opportunities immediately available. A city is a living organism that thrives on the energy, activity and engagement of it residents. The more isolated its residents, the more self-contained and disconnected from one another they become, the less vital and alive the community and its residents become. Typically, in the context of a city, vitality is the life force and health of a place, including its capacity to grow and accommodate a healthy lifestyle and economic activity for its residents. The blood lines and veins of that energy and the carrier of the life force of a city are its streets. Its public places are pools of activity and exchange. The size, shape and character of these elements, along with the nature and intensity of the activity that front them, go a long way to define how public interaction occurs in the community. But much of our city fabric and streetscape does little to support a vibrant lifestyle. The city is principally dedicated to auto-centric streets – While it is appropriate to move auto traffic in a fluid and appropriate manner, cars have specific, but limited ways in which they enhance civic vitality. Though many people in our community bike for recreation and commuting purposes, the vast majority of the population does not consider city streets as a safe place for casual biking. Likewise, streets that encourage walking are limited, as evidenced by the number of streets that actually have people walking on them. Insufficient mix of uses within walking distance of residences – Having the ability to easily and quickly access those kinds of uses and activity that support the residents of a neighborhood within a 10 minute walk of where people live. Insufficient density of residents to support commercial uses within walking distance of residential areas – Commercial activity requires enough density of housing to support viable businesses in order for them to co-locate. Without such density, retail and commercial activity in support of 10 minute walkable access, cannot be sustained. Single family residential zoning along major transit corridors – These streets have over time, changed in character so much that the homes that front on them are no longer appropriate to the character of the street as the are today. Quite commonly, these residences have 6-7 foot high fences along the street to protect the houses from the intensity of the traffic. Also, a high percentage of these residences have absentee owners who rent out the houses but won’t sell the land because it is too valuable to let go of. Better Boulder believes that we can do, better. Our zoning code and transportation network plan can be modified to make for a more vibrant – and more livable, walkable, sustainable lifestyle for its residents.